Make of it what you will, but the image that you see here recently landed in our inbox. 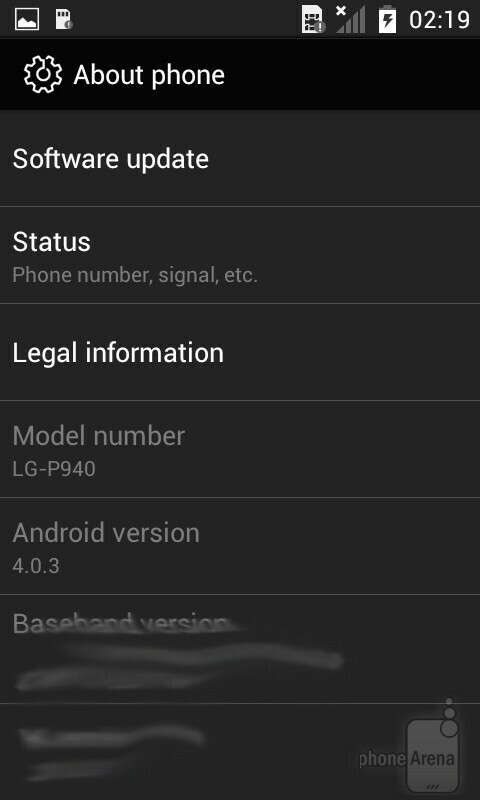 It appears to be a screenshot of an LG Prada 3.0, as indicated by the LG-P940 model name, updated to Android 4.0.3 Ice Cream Sandwich. "Coming soon" is the comment that accompanied this tip, which lead us to believe that the ICS update for the LG Prada 3.0 might be nearing its release. Could this be a fake? Certainly! However, we noted that the interface follows the same black and grey styling that is currently present on the device, so we might be looking at the real deal indeed. On the other hand, this could be nothing more but a screenshot from a custom ROM that a developer has crafted. Sadly, we don't have any further evidence to know for sure. Now feel free to examine the image for yourself, and if you happen to come across clues that we have missed, do not hesitate to drop us a comment below!